You look at the current state of gaming and immediately can recall better times. 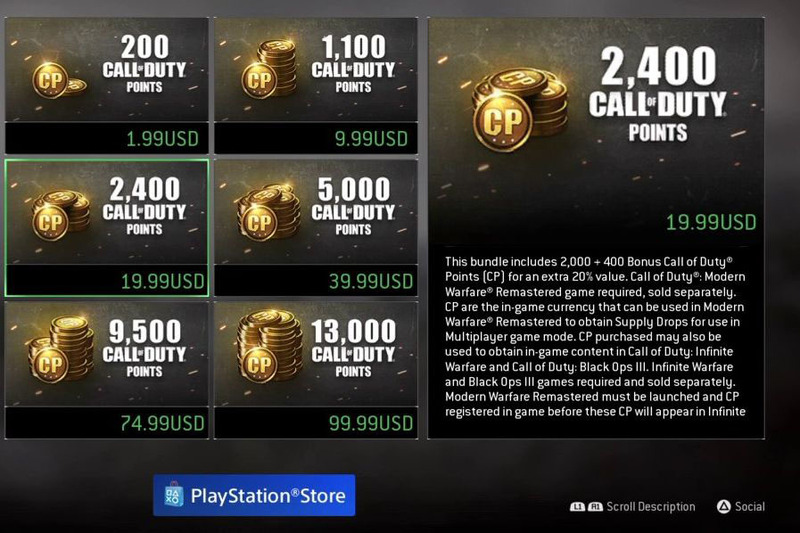 You may think back to 2006-2008 where it was right before game companies started to implement microtransactions as being the best age for gaming. Maybe it was before then too, sometime around the 1996 era where all the good Super Nintendo games have been released, and that there is nowhere to go but up from here. Regardless of what timeline you imagine as being the "golden age" of gaming, you come today and think: "What's wrong?" Well in the case of industry growth, there is nothing to see but the pool growing by a significant margin. More and more people are interested in these practices, stocks are going up even for the most hated of companies, namely Activision, EA, and Ubisoft all gaining quite a bit of money off of the value of their own stocks. Investors and people in the stock market couldn't be happier. This breeds in an issue that could become more of an issue with time. I'm aware right now it may seem to be a positive benefit, but the question is: "How inflated is the market right now?" The video game market is definitely known to perform its own crashes after greed had taken over in terms of making a good product, (Oversaturation of video game market having caused the video game crash of 1983) so the question is when will the video game market crash, weeding out the worst of the business? So where is the solution to all these problems when the video game industry stock is doing so well? Well, over time, a crash has to happen. The question isn't if it will happen, but when. The signs are already there. More and more displeased gamers mean more and more people will fight against it. Companies have been willing to risk their own reputations in order to make the quick profit. Now whatever a naysayer of capitalism would say, it is only a matter of time before companies like this lose out in the long run. A company like Blizzard cannot last by angering its customers off with a mobile game blatantly designed to be a cash grab against its consumers. EA cannot keep it's yearly growth without cannibalizing companies and continuously riddling their IPs with microtransactions and half-baked games. Yet with time, more and more people are pushing against EA and their bad business practices. So at the end of the day it goes like this: You vote with your dollar. You push against the grain and show the company you purchase products from that you are not interested in their predatory business practices. Many Youtubers have pointed it out, and these companies will not learn their lesson until you affect them where it counts. Their wallet. Edit: Additionally I've received multiple people talking about how the vote with your dollar method does not work, yet at the same time you have multiple companies like EA who are handling huge problems with their stock indicating big trouble in the future of the company if it continues down on this path. 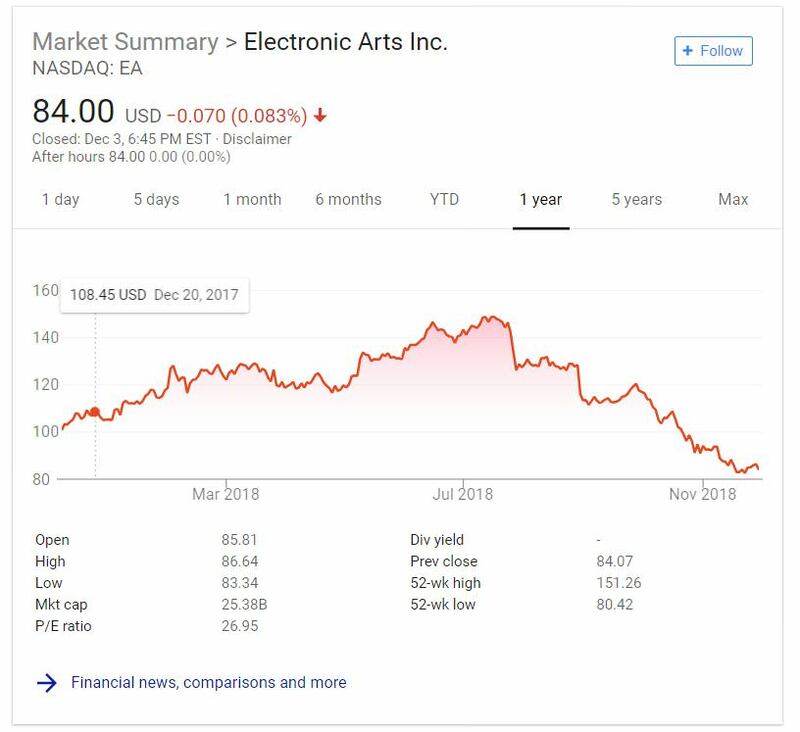 Here is a picture of EA's stock as of 12/3/2018. As of July 2018, they have a loss of 42% stock value to day. Voting with your wallet helps, but it's modulated by how many people are in the market and what percentage share your views. Gaming is an industry that has a huge number of people on the market to buy, and a lot of those people have very dumb consumatory needs from games, they play a few hours of a single player in their spare time, they want to see an explosion or two and not really think about things too hard, and what you end up with is CoD full of cut scenes and QTEs. Then you have much more sophisticated gamers who have a greater demand for immersion, long and complex story arcs, deep and meaningful gameplay with rich layers of tactics and all that good stuff. But they represent relatively few buyers, and so have no hope of influencing the market. It's a sorry state of affairs, maybe it's a bit of a bubble and we're just waiting for it to pop and maybe its because the market is still very young, either way it's extremely annoying.